C&D bakery is a manufacturer that produces cookies, baked goods and cakes and is always seeking health like a fresh morning. It is a manufacturer that does not use preservatives and preservatives in all products produced and considers the safety and health of its customers first. C&D Bakery operates its own brand of cocobel, and its major suppliers are Coffee Bean, Caffebene, Topresso, Grand Hyatt Hotel, Plaza Hotel, and Hilton Hotel. Targets for C&D customers are being transferred to B to B (Franchises, Large Businesses), B to C (personal cafe, etc.). We are a Coffee Cooperative, founded on 28th February 1968, and located in the district of Chirinos, Province of San Ignacio, in the department of Cajamarca. Our aim is to contribute to sustainable and competitive agriculture, associated with improving the life of the smallholder coffee farmers who are members of the cooperative. We have a presence in the districts of Chirinos, La Coipa, Tabaconas and Huarango, where we work together with our partners to provide quality coffee to the national and international markets. Likewise, we value and care for business relationships with importers, coffee roasters, financial institutions , certification bodies and NGOs that have a positive impact on the economic and social development of the coffee farmer, as well as in environmental aspects. We are roasting cacao beans and making chocolate. Very Fresh cacaos nibs and Cacao nibs covered with Natural Flavor like strawberry , mandarin, milk, etc. 100% Single Origin dark chocolate. Cafe de Colombia is the name given to 100% washed Arabica coffee grown in the coffee regions of Colombia. It is also the brand The Colombian Coffee Growers Federation created to promote their coffee both in the industry and among consumers as a high quality product.The Colombian Coffee Growers Federation (FNC) was founded in 1927 by Colombian coffee growers to create an institution that would represent them both nationally and internationally, defend their rights, and seek ways to improve their quality of life. Working as a non-profit organization that´s not affiliated with any political party, the FNC has since established itself as the largest rural NGO in the world.The FNC represents more than 550,000 Colombian coffee growing families and works to procure Colombian coffee is grown in a sustainable manner, strengthening common interests within coffee-growing communities while positioning Cafe de Colombia as the symbol for the best coffee in the world. Cafe de Costa Rica has been designed with Geographical Indication as an endorsement of our unique model of fair price payment system to growers (Liquidation), our environmental friendly mills and our continuous agronomical and milling research. We celebrate 211 years of experience, tradition, social and environmental commitment, turned into reliability in the international market. Let us share with you the experience of a unique country producing a unique coffee. Honduras is located in the heart of the American continent. This unique geographical position marked with diversity of climates and soils, with ideal rainfall patterns; a strong coffee tradition of over a hundred years, gives it a privileged position as producer of excellent quality coffee country. HONDURAS has six different and interesting regions, each with a distinctive and unique profile of flavors, texture, balance and aftertaste. With elevations ranging between the 1,000 and 1,700 masl, more than 110,000 families dedicated to growing responsible and sustainable coffee and with the adoption of control mechanisms to ensure the quality of production, drying, transportation and export, Honduras has earned international recognition as the “ Dormant Coffee Giant”.We invite you to learn more about the international quality of the Honduran coffee. 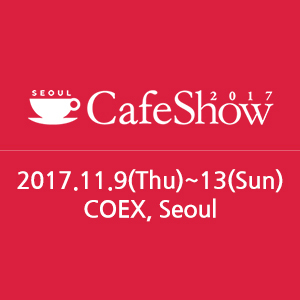 Whether visiting our booth or participating in special activities prepared for you, we will be honored to share a cup of our coffee! We specialize in the production of cold brew concentrates and automatic dispenser for cold brew. Cold brew concentrates generally takes long time to extract, but We enabled the mass production of concentrates with the new technology, named “Super Drop”, developed by SNU. We can produce two tons of coffee concentrates through a single production line. In addition, our cold brew is excellent in flavor and taste and food safety; our new cold pasteurization technology, low temperature(under 18 degree)-ultra high pressure sterilization, solves escherichia coli problem perfectly. We not only focuse on manufacturing technology, but also have interest in ICT, for instance, deep learning, AI, IOT, fintech and so on. By implementing these technologies, we will create a smart factory connecting distribution, sales and store. Our mission is to operate new kinds of cafe, factory and distribution channels, and to supply smart consumer experience with the world’s most advanced technology, too. For the last 20 years, we have been expanding our business with Kangnung Science and Industry Promotion Agency and coffee consulting, roster manufacturing, trading and R & D. We have always strived to provide the best quality and best service to our customers. We specialize in existing business fields, open new business areas related to customers, and gain added value and competitiveness to become a company that faithfully follows the interests of both customers and customers. Coffee roaster, coffee producer, coffee capsules, sweated and unsweated cocoa, whole bean roasted coffee, ground coffee, coffee pods. Caffeinnos, based on the management philosophy 'Design Your Needs', studies NEEDS in a changing market and provides a new culture. Focus innos passion on designing ahead and satisfying the customer's emotions. These efforts ensure that the products and services required by cafes and coffee makers are available at the right time and place. You can make FlowerAde, FlowerLatte, FlowerCocktail easily with Flower Cordial. 1. Zassenhaus, a 150-year-old German coffee grinder company. 2. Selects the best steel grinder device, and ceramic material, precisely carves, and assembles the products by hands. 3. Smooth grinding performance prevents heat to enhance the unique and full aroma of coffee. 4. Right size for carry-on. 5. Perfect grinding degree adjustment with 18 steps. 6. Suitable for french press and drip grind. Brewvie is a smart commercial pour over coffee machine. You can control temperature, volume and the flow of your pour over with incredible accuracy and nonstop brewing abilities. The only green tea tourism farm in Korea has walked a path for 60 years, and the Boseong tea field has packed up memories as it leaves the retro tea bag package. The leaf tea set is made up of the finest gift sets, and it is also the product that received the gold medal at the Shizuoka Fair of 2017. Sanremo “Cafe Racer” is chosen for sponsor espresso machine for the 2018-2020 World Latte Art Championship (WLAC) and World Coffee in Good Spirits (WCIGS). We often meet turmeric in curry as a main spice but not common ingredient as a component of tea blend. Although green tea is healthy enough, some people don’t get used yet to its bitterness. We select soft green tea leaves and sweet pineapple as main ingredients of Mme. Curcuma and sprinkle turmeric powder. Guess a yellow cup with warm and sweet taste in tropical mood. Decent espresso machines give you the espresso quality from professional machines, but in a machine for your home. By using the engineering knowledge of the high-tech community as well as collaborating with coffee experts from around the world, Decent Espresso have extended the vision of what an espresso machine can achieve. 2018 NEW MEC3 IN CUPS, makes you could serve various beverage menu. Able to represent the raw material into a cup of beverage within sweet flavor Mango, Passion Fruits with unique texture of the seeds, soft Matcha Greentea great mixed with milk, and Quella Pistachio which contain 20percents of high- quality nutty aroma pistachio. The 'VEGAN TABLE' is a product made from grains, vegetables, nuts, fruits, and seaweed that can be mixed with water everywhere for a meal. For the growing vegetarian population, we have prepared for you who want to eat simple but a little healthier. Certified by the world-renowned British Vegetarian Society, this product is even more reliable. There are Nature, Green and Purple. and agree to submit personal information?